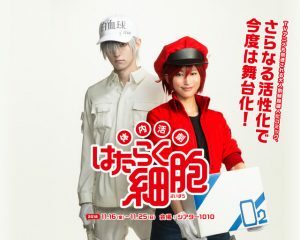 Judging from previous cast costume images, the Cells at Work! 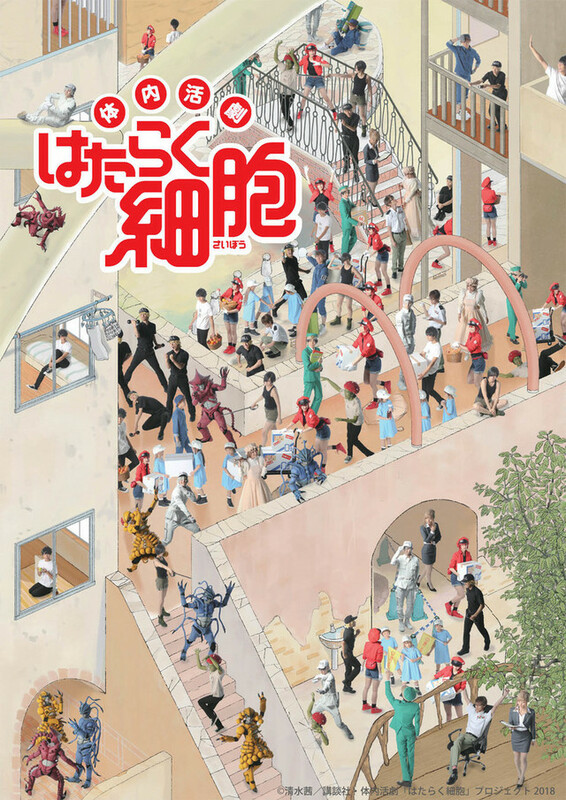 stage play totally nails the style of Akane Shimizu’s educational comedy manga and its anime adaptation. Now we have even further proof thanks to a new poster, which mimics previous visuals with the cells, germs, and bacteria working hard and battling one another. Tsuyoshi Kida directs the stage play, which runs from November 16-25 at Tokyo’s THEATRE1010. 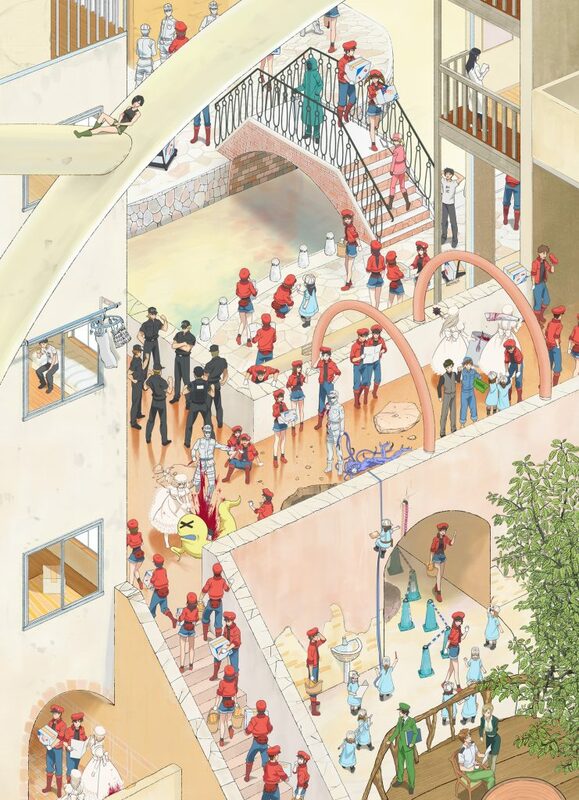 Check out how closely the new play poster adheres to the anime promotional material below.